Countdown to Christmas with your whole class. Fill the pockets with sweet treats to give your students a special surprise. Print out the FREE downloadable numbers template and trim the edges, separating all the numbers. Hand each child a section of the patchwork wall hanging to paint. 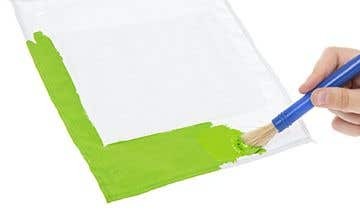 Textile paint can be quite messy, so be sure to have the children working on stretched-out bin bags or newspaper to reduce any paint staining tables. Leave to dry. 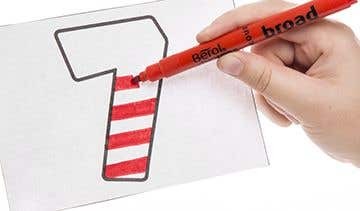 Hand each child a number and ask them to colour it using festive colours and patterns. Whilst they’re colouring the numbers, the patchwork squares will be dry enough to start decorating. Slide the coloured numbers into the plastic wallet of the dried patchwork section. Allow them to choose from a selection of Christmas felt stickers and candy cane felt stickers which they will use to decorate their piece of the advent calendar. Using the purple, green and red ribbons tie the patchwork squared together. Tie bows to secure and criss-cross the ribbons for extra security in the centre of the calendar. At the top left and right-hand corners do not tie bows but make reasonable sized loops so that the calendar may be hung up. Cut 10 5mm ribbons that are 10cm in length. Thread the ribbon through the loop of the bell and hold it securely at the centre of the ribbon. Tie a secure knot to keep the bell in position. Continue these steps until you have 10 tied bells. Divide the bells so that there are 5 for the bottom left-hand corner, and 5 for the bottom right. Thread the loose ribbon ends through the holes and tie them securely at the back. The knots should not be visible via the front of the calendar. Once all the ribbons have been tied to the calendar, gather them in a bundle and secure either side with green bows to stop the knots from sliding to the front. Have each child bring a piece of string or ribbon of their choice to the class. Let them each tie a bell to the string/ribbon of their choice and thread it through the calendar as mentioned in step 7. 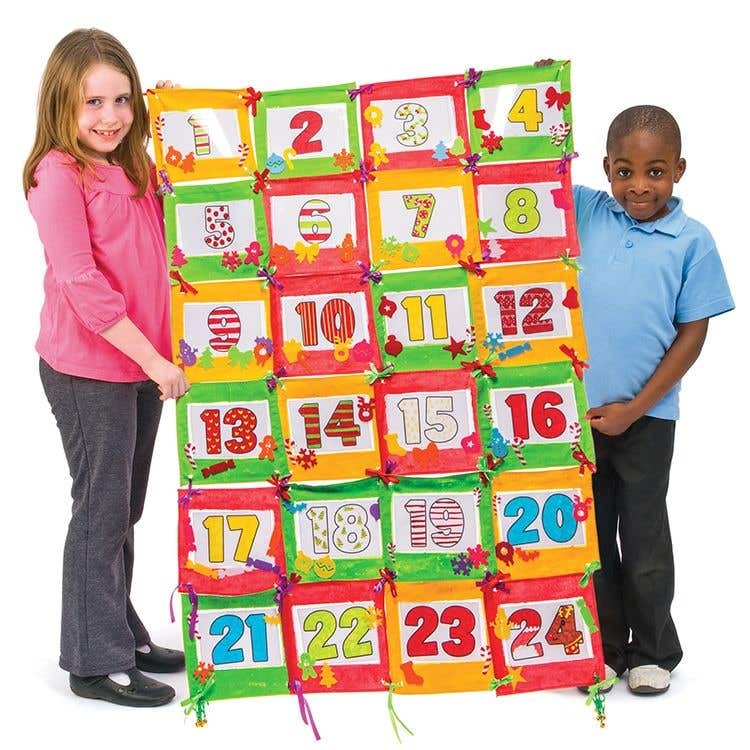 This way the calendar is decorated with as many bells as per the children in each class.